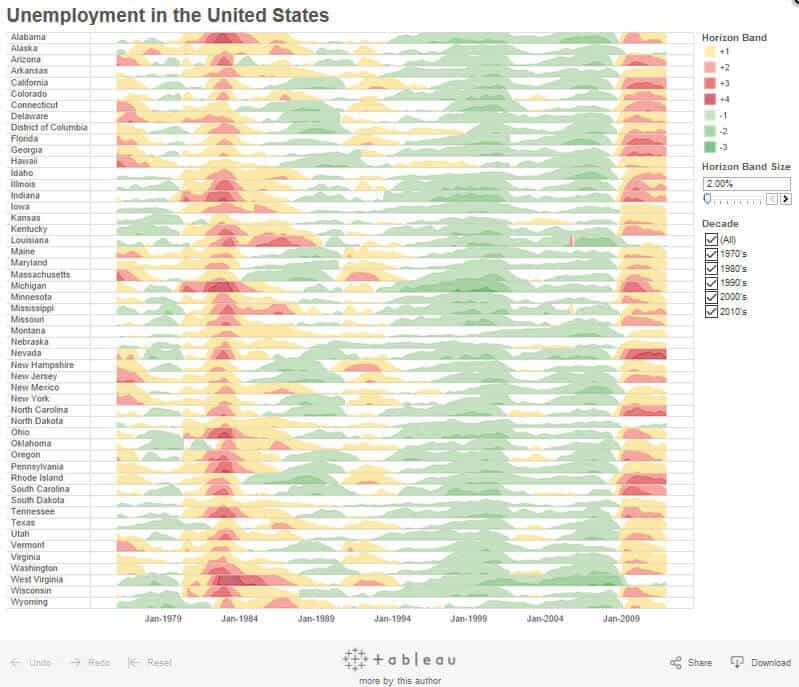 Our Tableau pros can create powerful Tableau dashboards that reveal actionable insights fast. 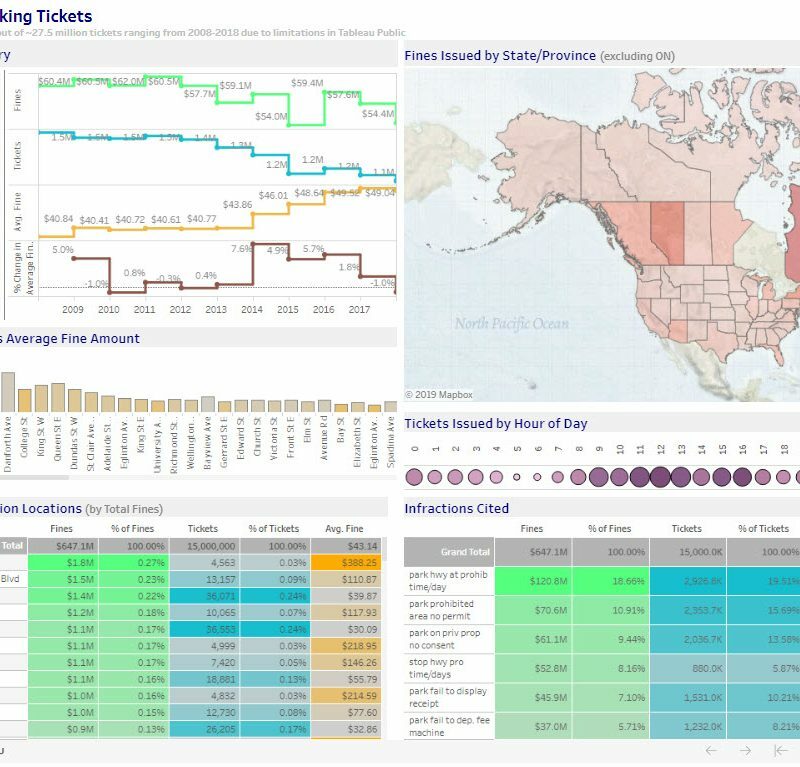 If you want to create your own Tableau dashboards, we offer Tableau Training courses customized for your needs and experience level. Interbrand’s annual report of 100 strongest global brands (2000+): three factors: financial performance, role in purchasing, and competitive strength. This is a great example of a Horizon Chart, a brilliant way to visualize time series data such as financial stock performance or employment figures. It compresses the extreme highs and lows with darker colors. The peaks are darker green and valleys are darker red. Parking violations for the city of Toronto from 2008 to 2018 are visualized here. Find out where NOT to park and at what times. We used a sample data set of only 10 million parking tickets. If you want access to all 19 million, drop us a line! 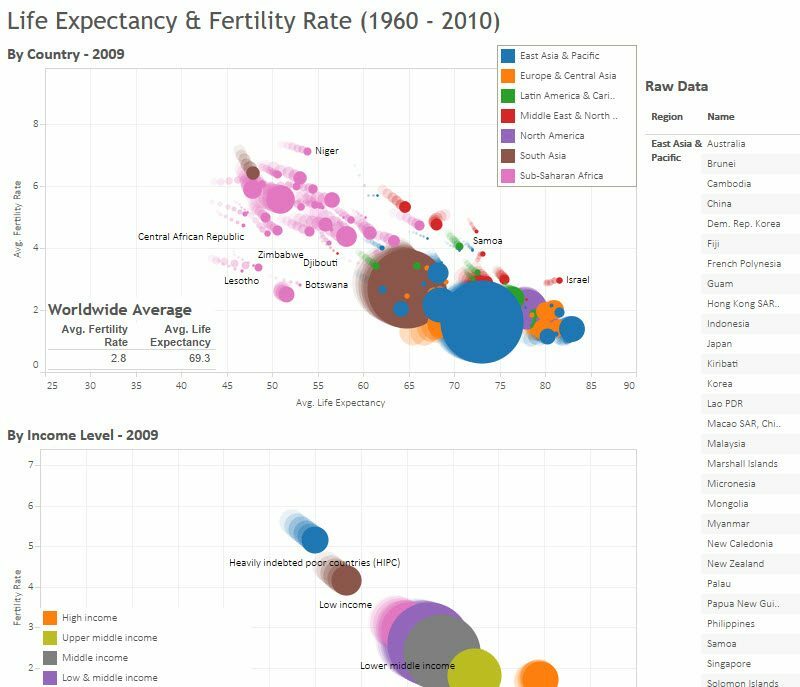 This vivid visualization illustrates how lower fertility rates correlate to longer life expectancies, and how that pattern has changed since 1960. 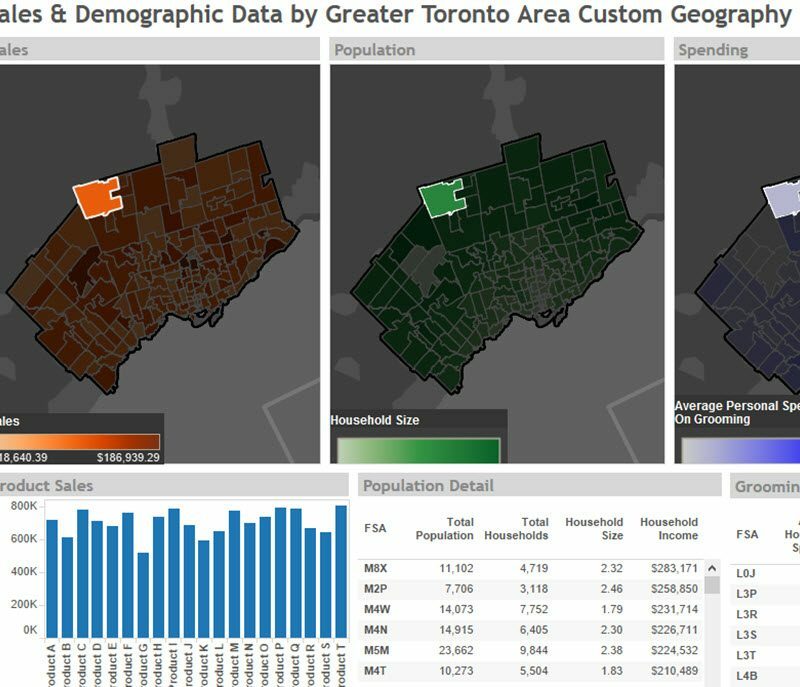 This dashboard allows the retailer to easily evaluate sales by postal code, multiple product categories, household size, and various spending categories. Data from Google Analytics, Adobe, and Webtrends can be visualized in a much more interactive way for better insights. 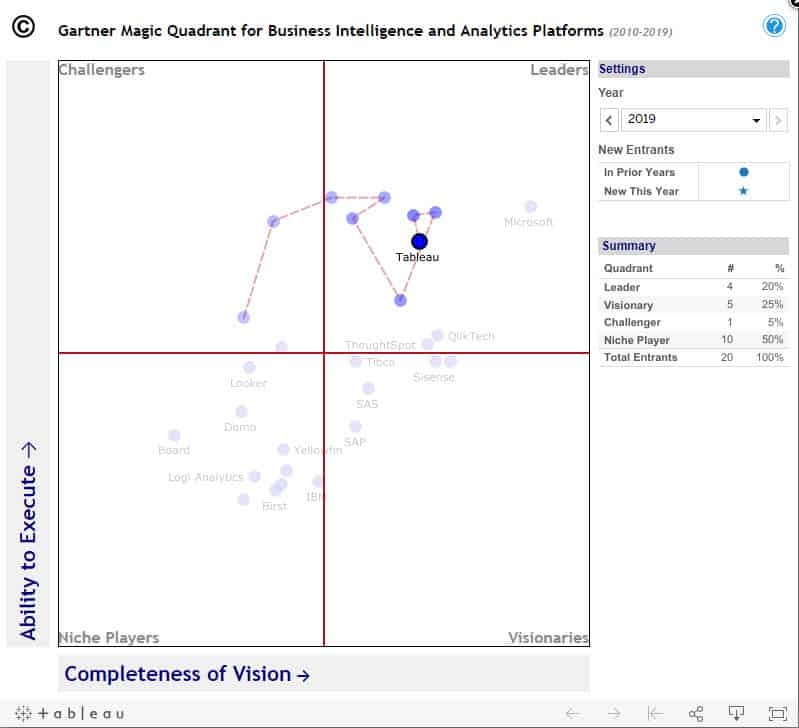 See how data visualization vendors compare from 2010 – 2019. 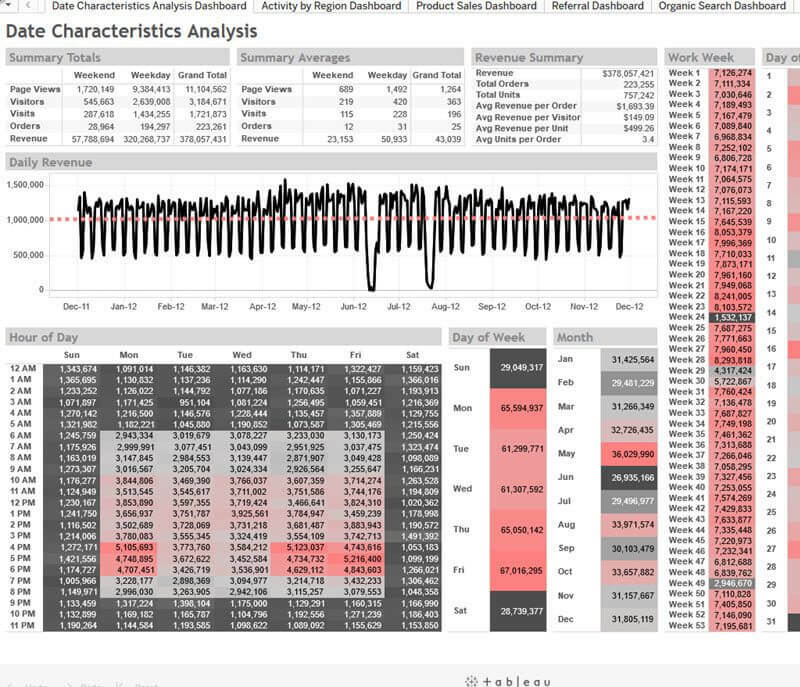 We used Tableau to create this Google AdWords dashboard. Tableau doesn’t natively connect to AdWords, so we built a custom connection using a 3rd party tool. 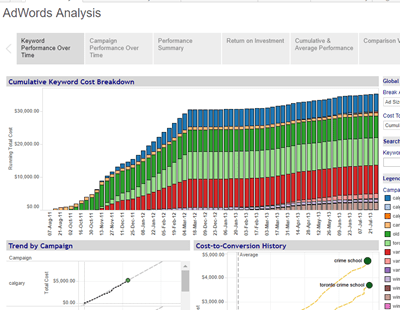 The dashboard updates daily to provide ROI calculations on AdWords spend. Data from other sources, such as social media and CRM, can be added for broader insight. 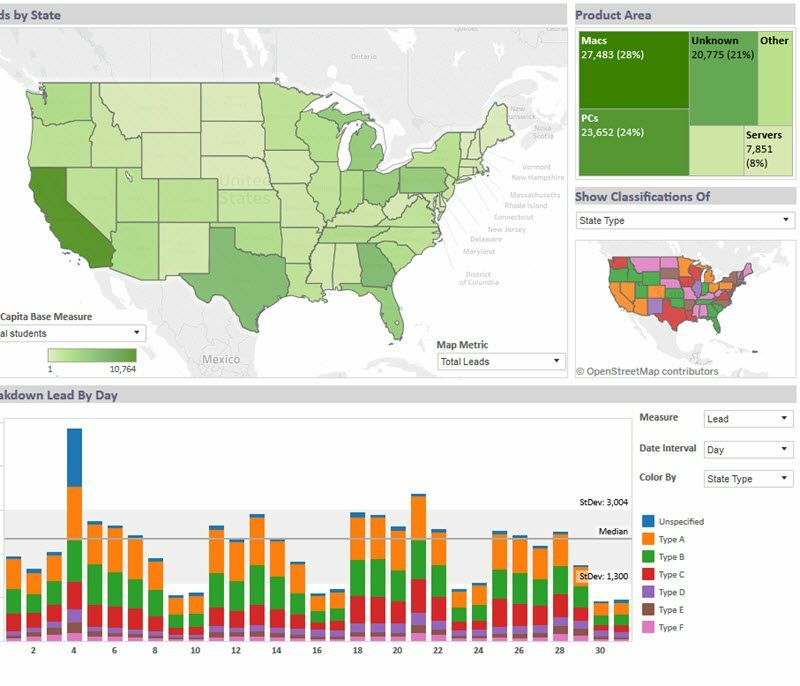 This Tableau dashboard shows sales leads by state, per capita, and relates those to demographics. The aha moment is how it illustrates that the conversion rate is much better when leads are followed up within 2 hours versus 1 day or more.